Skype is taking another step towards becoming a public company today with the appointment of a new CEO. (Updated) I have confirmed that Skype’s new CEO is going to be Tony Bates, a senior VP at Cisco, who runs its Enterprise and Service Provider groups, which together account for about $30 billion worth of Cisco’s business. Bates will be moving to Skype HQ in Luxembourg and will begin his duties at the end of October. CFO Adrian Dillion will be acting CEO in the interim. Since it’s spin-off from eBay, Skype has a completely new executive team, including a new CFO, general counsel, chief marketing officer, and head of engineering. Now Bates will top off the new team. Bates is a heavy hitter, especially in the enterprise world, where the bulk of Skype’s future revenues may come from. 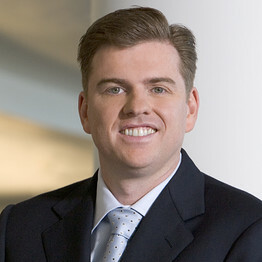 He was responsible for about 80 percent of Cisco’s business and even more of its profits. He had 12,000 employees reporting to him. Someone like Bates doesn’t leave that kind of a job unless he thinks Skype is going to become a major company with serious upside. Skype’s current CEO, Josh Silverman, will be moving on. Skype is on track to pass $1 billion in revenues next year (its revenue run-rate for 2010 is $800 million). In June, Skype was averaging 124 million active users a month, but only 8.1 million o them were paying. Skype has the scale it needs to negotiate lower telecom connection fees around the world, but it needs to ramp up the number of paying customers and convert more free users. The company recently filed to go public in August. And while there were rumors that a company like Cisco might buy it, adding a new CEO at this time points more strongly in the direction of an IPO. The earlier Cisco rumors now make sense. Cisco wasn’t trying to buy Skype. Rather, Skype was trying to hire the guy who runs most of Cisco.